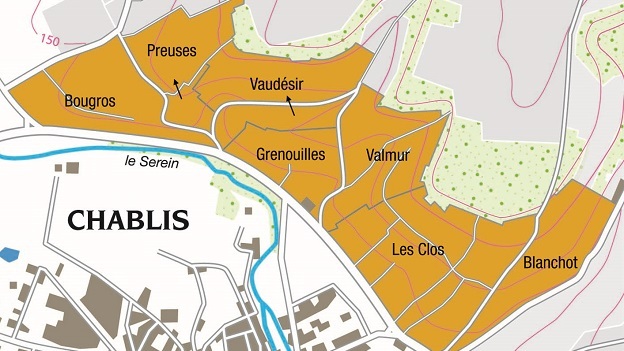 It’s too early to predict what the hot, dry summer of 2015 will yield in Chablis—or whether well-timed rains will arrive to revive the vines—but it appears that 2015 will continue the recent pattern of even-numbered vintages producing more classic, typical wines and odd-numbered ones yielding more extreme or idiosyncratic styles. Long-time Chablis lovers will be happy with the classic-in-a-modern-style 2014s, which offer a mostly successful and appealing balance of fruit, minerality and acidity. Crop levels were generous following two short harvests but most growers did not hit the allowed maximums. Most growers had expected a precocious vintage due to an early and successful flowering under warm, dry conditions. But the summer weather was so-so and ripening was slow. 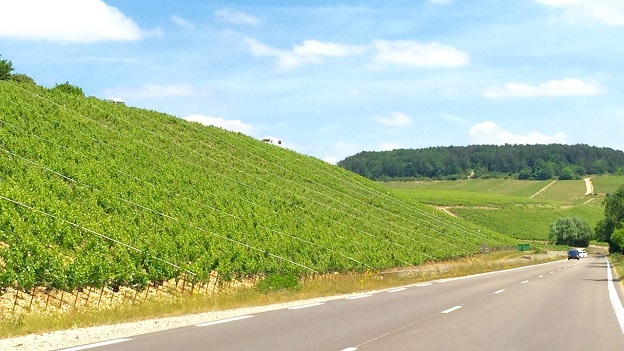 Happily, the Chablis region escaped the damaging hailstorm that compromised so much fruit on the Côte de Beaune on June 28. Many growers pulled leaves in July and this helped protect against rot during sporadic rains in July and the first half of August. Anticyclone conditions set in in late August and carried pretty much through the end of the harvest. Some growers reported drought conditions during this period. Owing to very dry weather in the weeks leading up to the harvest, the thick-skinned grapes lost a percentage of their water, which helped to concentrate their other elements: sugar, acidity, flavor. Michel Laroche at Le Domaine d’Henri, for example, noted that he expected 55 to 60 hectoliters per hectare not long before the harvest but only produced 46, as the grapes did not have their usual quantity of juice. He believes that the higher acidity of 2014 was directly attributable to the evaporation of water. Nearly all the producers I visited at the beginning of June started harvesting between September 14 and 17. But many quickly discovered that the skins were still hard, acidity levels were high and the grapes were not fully ripe. Many of them stopped picking for up to several days. There was moderate rainfall on September 21 and many growers began harvesting again the next day. They widely reported that the rain had been beneficial in softening the skins a bit without diluting the fruit. The grapes remained very healthy and free of rot, and very little sorting was necessary. The ripening was slow and there was little sign of surmaturité; the colors of the young wines are healthy and pale. Days were mostly sunny and moderately warm and nights were cool. As a general rule, grape sugars were healthy in 2014, often in the 12.5% to 13% range, but at some addresses more like 11.8% to 12.5%. Some growers chaptalized their less-ripe lots moderately but many eschewed chaptalization completely for their riper fruit. Following the malolactic fermentations, the 2014s still retain healthy levels of acidity but their acid spine is nicely buffered by flesh. Very few wines will hurt your teeth if you open the bottles early, and most of them are nicely balanced from the start, but at the cru level the better wines have the structure for at least medium-term aging: say 6 to 12 years for the premier crus and 8 to 18 for the grand crus. The wines are classic but not generally austere, although it’s entirely possible that examples with high levels of acidity will go through an awkward stage in the bottle. The growing season featured the latest flowering in two decades. The first months of the year featured less sunshine and more precipitation than usual, culminating in a very chilly, wet May. There were already some signs of oidium and mildew on the leaves in some sites by the end of May. The flowering began around June 20 and lasted well into mid-July. Variable weather during this period led to significant coulure (poor set, or shatter) and millerandage (shot berries, or "hens and chicks"), thus reducing the potential size of the crop from the outset. July was then quite warm, even hot during the second half of the month, retarding the veraison. August continued very warm, although temperatures moderated toward the end of the month before spiking up again at the beginning of September. There was regular rainfall during this period. The weather turned cooler and more humid from September 7 through 23, with more showers, and this period brought both maturation of grape sugars and the possibility of some dilution. Under humid conditions, rot pressures continued to build. In the end, the harvest was mostly a race between ripeness and rot. Many growers started picking during the last days of September but some did not start until the beginning of October, as the grapes were not yet ripe. But rainfall on October 4 and 5 totaled 35 to 50 millimeters across the region and rot quickly spread. In retrospect, it’s clear that the ideal window for picking—assuming a particular parcel of vines was ripe—was short: from about September 30 until the rain started on October 4. 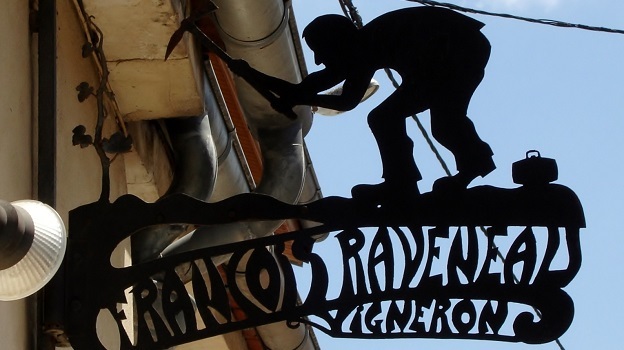 In that sense, growers on the Côte d’Or had a harvest-time advantage in 2013 as most of them started picking three to five days earlier and were able to bring in their most important vineyards before the rain of early October. On the other hand, Chablis was not affected by the July 23 hailstorm that plagued the Côte de Beaune in ’13. A few growers still maintain that their 2013s are more minerally than their 2012s. And there are many 2013s that are quite satisfying when enjoyed on their own terms. For those consumers looking for characterful Chardonnay, the 2013s offer plenty of good options. 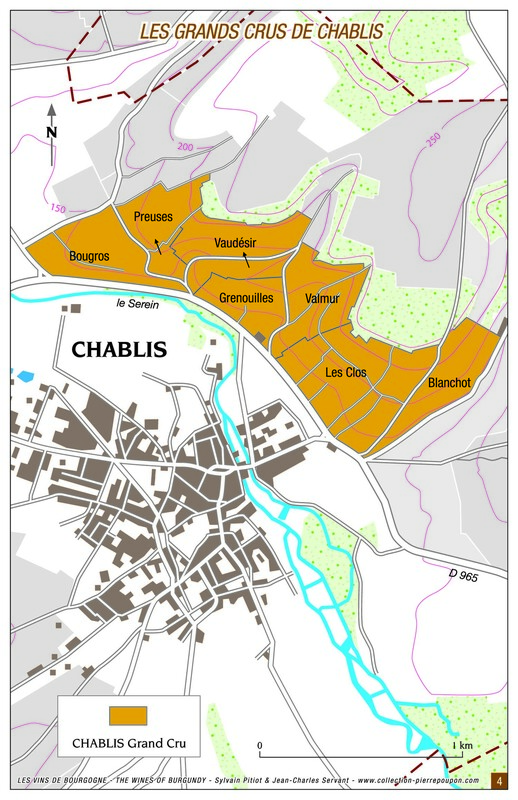 But Chablis purists will be less enamored of the wines, especially when they taste them next to more classic vintages like 2014, 2012 or 2010. Two thousand thirteen is also a vintage that may defy predictions as to when the wines will be at their best. Many wines are opulent and open-knit in the early going, with highly expressive aromatics. Chardonnay lovers will enjoy them virtually from the get-go. But some growers believe that the ’13s may go into a sullen stage in a few years and remain there for some time, after which they emerge as different beasts, showing much more mature truffley earth and porcini character. This scenario certainly seems plausible to me, and it means that “drink now to 2023” may be a vast oversimplification of a 2013’s likely aging curve. The wines in this article were tasted in Chablis in early June or in New York in recent weeks.